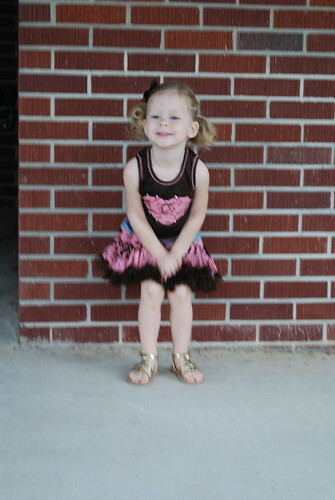 This morning Jeff and I took Landree to her first day of 2 1/2 year old preschool. I am so glad she adjusts to new places so well. This is the same school she went to last year, but a new class and teachers. 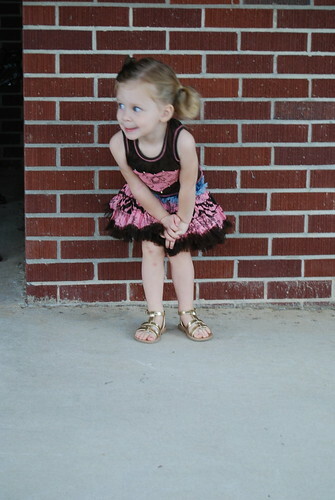 While other kids where peeled off of their parents at the door I followed her around with my camera. 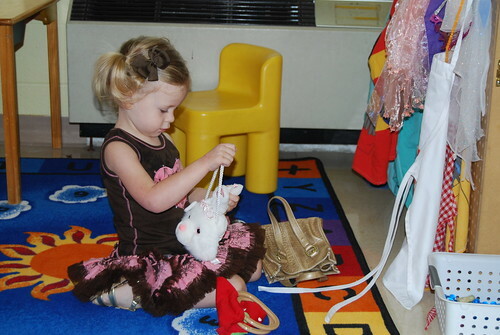 She made herself at home at the dress up center and kissed us goodbye. Here she is on the first morning of school. 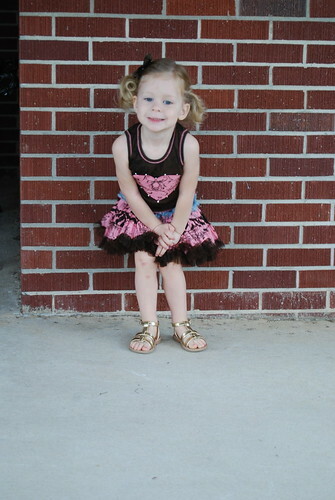 Landree looked soooo cute on her first day of preschool! It looks like she is going to have a blast there this year! She is SO CUTE!! Her first day outfit is adorable:) Hope she liked preschool! Did her Aunt Maggie pick out those shoes? Those are DEFINATELY Aunt Maggie shoes! I love her shoes!! Glad to see she enjoyed and fit right in!